Named for the covered passageways along Singapore’s traditional shophouses, 5footway.inn offers contemporary budget accommodation in restored heritage buildings. 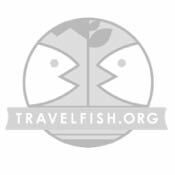 Since opening in 2011 they’ve expanded to four locations in traveller hotspots like Chinatown and Boat Quay. Here’s a peek at the Bugis branch. Make yourself at home in the cosy lounge. 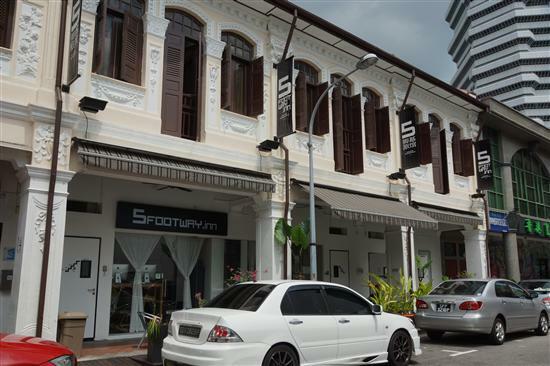 5footway.inn Project Bugis is set in a sprawling white shophouse on Aliwal Street – the ideal distance from Bugis MRT and street market to be convenient but not chaotic. With 150 70 rooms in total, there are many configurations and lay-outs to choose from including dorms and private rooms. As you may have guessed from the high number of rooms, they’re quite small. Thankfully the hostel’s designers have the sense not to stuff dozens of beds inside, and even the largest dorm room sleeps a maximum of six people. In terms of style, they’ve gone for a minimalistic look with white walls, sturdy white bunks and concrete floors. Free lockers can be found beneath the beds, but whether you get a window seems to be up to chance. The rate for the dorm is S$26-32 per night, depending on the time of year and whether you prefer mixed or female-only. A free breakfast with a view. The pick of the lot is definitely the loft-style private rooms, which make the most of the limited space by having the bed raised above a sofa (which can also be used to sleep another person). Nightly rates for a double room start from S$94 with a shared bathroom or S$104 for an en suite bathroom. The single rooms are the size of shoeboxes, but represent decent value for Singapore from S$66 per night. Where 5footway.inn Bugis does shine is the common areas. The ground level has an air-con lounge with cosy couches, a travel library and iMacs for guest use. If you’re travelling with your own gadgets, you’ll be happy to hear that WiFi is free and ridiculously fast. 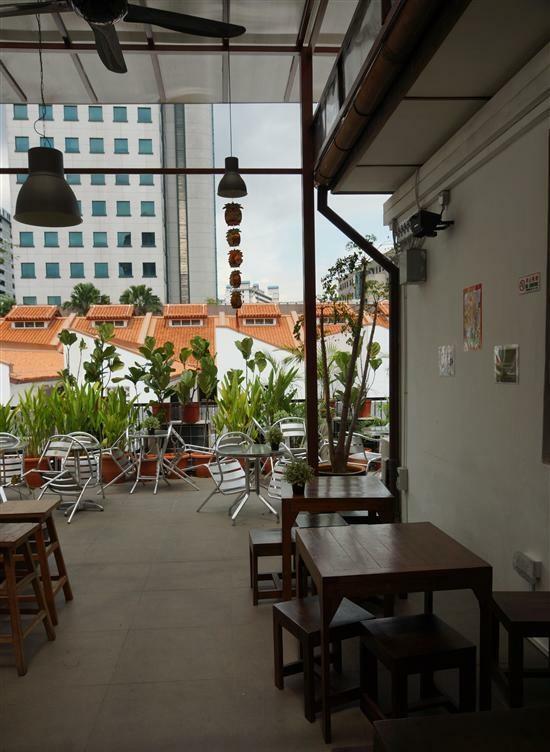 On the second level you can relax at the open-air terrace which has lots of seating and great views of the Kampong Glam neighbourhood. A light breakfast of toast and jam is served here each morning, but the space is best at night when it’s basically your private rooftop bar. You can buy beers at the reception desk for S$5 and drink them up here with your hostel-mates — it’s the perfect way to stick to a budget in expensive Singapore without sacrificing your social life. The rooms at 5footway.inn Project Bugis may not be as comfortable as some of Singapore’s new luxury hostels, but it does offer a quirky, heritage experience in one of the city’s coolest neighbourhoods. The surrounding area of Kampong Glam is a treasure trove of art galleries, hookah bars, independent stores and roti prata joints. 5footway.inn is recommended for anyone looking to see a different side of Singapore. Check rates at 5footway.inn Project Bugis on Booking.com.